The Road Less Travelled: Urgent Need In Ethiopia. I wasn't sure how to post about this on my blog. The devestating drought and food shortage going on in Ethiopia is close to our hearts. Frankly its gut wrentching and the emotions that surround the grave situation in our sons birth country are difficult to put into words. My heart hurts for these families, these children. I think having been there, seeing these faces, and watching our amazing son has made this so much more of a reality for our family. Please pray for the drought and food shortage facing Ethiopia, pray for the orphans, pray for the mothers who can't find the milk to feed their babies. Pray for a miracle. Our God is a great big God! I think as we sit at home in our comfy houses, going about our daily lives, having food at our fingertips, we often don't think about what is happening across the world. 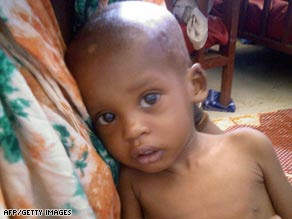 This story about little Bizunesh is a good wake up call for the reality that is others lives. These families are unable to get the food, water, and medical care they need. Bringing in the supplies and help to try and improve these conditions is a daunting task. There are a few ways we can help. Please consider sponsering a child, donating to the relief funds linked below, and most of all pray for the people of Ethiopia. If you'd like to help here's a few places to start. And as always sponsering a child is an awesome way to make an impact on the life of a child. If these aren't options your able to do right now please check out the 5 for 50 campaign. Just 5 minutes a day to pray, five bucks a month, sharing with 5 of your friends, giving 5 hours for fasting a week, and giving of yourself for 5 days a year to serve on a mission trip. I don't normally do plugs for financial support on my blog but there is a sense of urgency in our hearts for Ethiopia, for orphans, and it is our desire as Followers of Christ to walk out His word and care for the Orphans and Widows. I know what you mean. I wasn't sure how to word it but we feel so burdened. We are praying and considering sponsering a child through Compassion International or Children's Hope. It is just a small way to help care for the children there! We are praying for a miracle and that God will protect the children there from this horrible famine. So glad you posted about this. I love 5 for 50 - it is such an inspiration.